More than 30% of customers are choosing the lease-to-own option. The idea for the three separate options came as a way to increase absorption among buyers who were financially qualified in terms of income, but had bad credit due to bankruptcy or foreclosure, or lacked a down payment. The lease-to-own option, though the most costly by month, sends a portion of each month’s payment into an escrow account for future use. 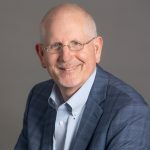 It also locks the price of buying at the start of the lease, which has already been a benefit to the early lease-to-own crowd, as prices have gone up since the community’s opening. The leasing route was a draw for many buyers. In the first six months of opening in Beaumont, approximately 40-50% of buyers chose lease to own, while the rest were buyers (renting has been and remains minimal to non-existent). As the market improved, so did the ability to buy. Starting in mid-summer 2012, a shift occurred that drove the number of lease-to-own buyers down to 30-33%, where it is now. Buying is by far the cheapest option for each of the five floor plans. Here is the 1,621 square foot plan. 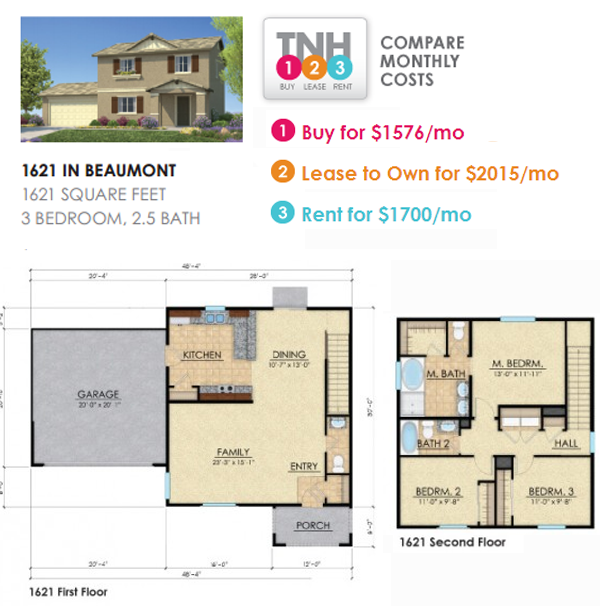 Beaumont floor plan, buying comes out ahead of renting by $124/ month. Because 30%+ of buyers have chosen the lease-to-own option, RSI has effectively increased their sales by 30%+. We applaud RSI for thinking differently, listening to the consumer, and showing our industry new ways to be successful. If you have any questions, please contact Pete Reeb at (858) 558-8384or by email.